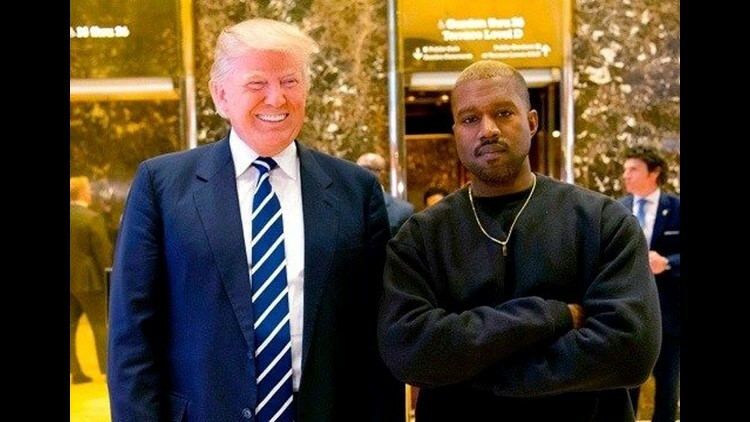 Kanye West, continuing his controversy tour 2018, spoke Tuesday to TMZ Live about slavery, free thought and his love for President Trump. "Of course I know that slaves did not get shackled and put on a boat by free will," he tweeted. "My point is for us to have stayed in that position even though the numbers were on our side means that we were mentally enslaved." He added: "They cut our tongues so we couldn't communicate to each other. I will not allow my tongue to be cut ... they can no longer stop our voice." But that wasn't before the rest of Twitter had something to say about West's words. Jimmy Kimmel called his entire TMZ appearance "wild."